It started as a mother's heart simply groaning. A planner, a scheduler, a everything-in-its-place borderline OCD kind of person married to a.... what's a planner? type. We are an odd-couple if ever there was one. But he tries to listen to my incessant spilling of all that is and isn't right in my over-planned world. His heart ached for me, feeding his final assessment: stop plotting so much. Lay down the planner and step away from the pencil. It was an honest assessment which I groaned at even considering. 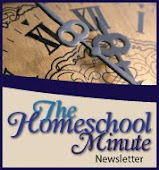 How can I, homeschool mom of 4 (do I count the husband too?) 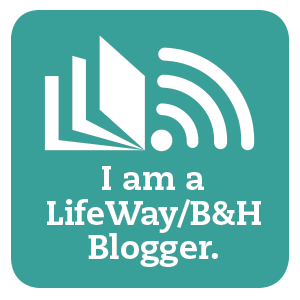 balancing life and ministry and life... HOW do I do that? At first I reeled to such an insensitive thought. He has no clue what my life is really like. He WOULD suggest such an outlandish thing.... But eventually I rationalized this as the best (albeit extreme) solution to my closet control-freakiness. Thousands of miles of ministry work and countless homes (both temporary and 'permanent') later I have swirled from overly prepared to complete unpreparedness and back to a point now where I search for center. It was a difficult few years for me... but a good and learning few years. I believe, with all my heart, God spoke through my husband that day. It was a time of trial and testing as I walked out LETTING GO of everything I knew. Had I not accepted his crazy sounding advice the last few years would have actually been harder. Try being a perfectionist as you juggle homeschooling from a campsite. Try coordinating the perfect schedule as you wander homelessness for the sake of sharing the gospel. Try putting everything in it's place when the places you have don't even belong to you, rather, every surface is gifted and lent under someone else's roof. Anxiety would have had me institutionalized if I had ignored my husband's wise counsel. For it was in that time I learned how to shoot from the hip marksman-like... how to truly turn every moment into a learning moment and how to embrace the NOW and accept an ever-changing environment by faith alone. It was a call. A "One Word" for 2015 to set at the center of all I seek to do. Balance, as beautiful a word as a recovering control freak/nomad could hear. My developing split personality welcomed the thought. Neither side of my rambunctious spirit had to be sacrificed, rather, the lessons of 20 years of housewifery and 4 years of full time ministry could find their place on both sides of the juggling act. An act, if executed correctly, which could feel more like a low-beam stroll on a platform 3 feet wide. No more plate (or dog) dropping. As a matter of fact, much of my juggling implements can come off their planks. Purging, managing, and leaving plenty of margins. Settling finances, family time, and private time can all have it's place. I am certain it sounds easier than it is, yet I am positive it is mountable with my Father guiding me through. My one word for 2015 which also calls me to step out of the extreme of nearly never blogging and back into the realm of regular article sharing. A welcomed balance I didn't realize how much I missed until I was reminded of how important fellow encouragers are in the Mommy On mantra of "Mom's Night Out"! I pray you will join me in finding Balance in 2015 and even consider what One Word God has for your center this year. More than a "resolution", One Word is a commitment to resting in His Hands for transformation! I will check in with progress reports here in the weeks and months to come!